A CONSISTENT PROCESS - design, build, plant, maintain, harvest - has been fundamental to The Growing Seed since Owner and Operator Jeff Negron first began the company in 2009. This process opens space for a sustainable practice that leaves your kitchen or chef with a consistent supply of healthy and delicious food. When planning a new garden, we first look to the needs and vision of our clients: family or restaurant size, chefs needs, seasonal schedule, aesthetic, surrounding environment, and geographical location. The goal is to determine what they need, how much of it they need, and when they need it. Then, we combine those needs with elements of landscape design principles and creativity. Once complete, the garden is not only highly productive, but also integrates aesthetically with its surroundings. In building the garden, there are many factors that must be considered. Architecture and natural surroundings help determine whether the materials used will lend to a more rustic or modern look. We also carefully consider ease of access from wild animals when designing fences. Once we finalize our harvest schedule and desired crops for any given garden, we can determine the infrastructure layout, like walkways, watering systems, and garden beds. It all goes hand and hand, an efficient build makes for an efficient future harvest. Our seeds are sourced from reputable Northeast Farms that provide Non-GMO organic seeds. These are strong seeds, that ensure a good harvest. 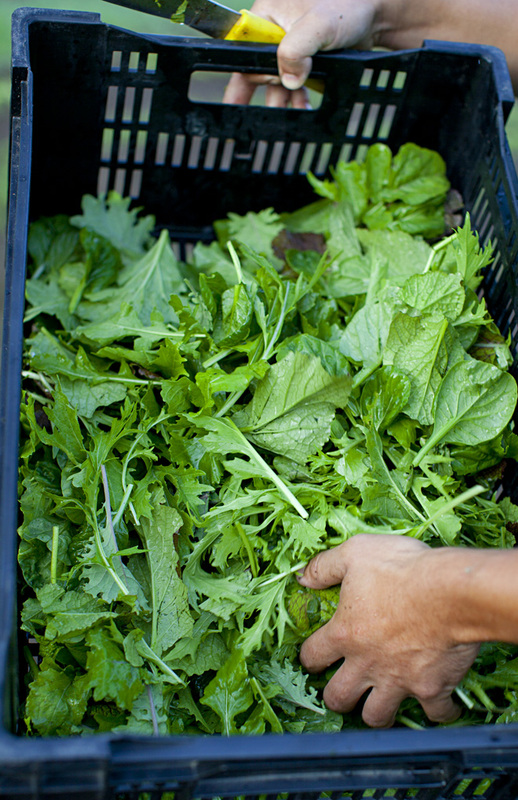 Some of our plants are started in trays on our North Fork farm and then brought to individual gardens. Others are sown directly in your garden. a combination of math, science and sensibility. Crops need to be nurtured in order to insure growth and optimal yield. This must be done in correspondence with the scheduled harvest times. Granialer Feeding and foliar sprays such as liquid kelp are applied to help control diseases and insect issues. Certain crops must be planted in trellises, like cucumbers, tomatoes, pole beans and peas. Custom irrigation ensures that certain crops are watered with specific quantities and timing. From the very first step, harvest is always top of mind. Everything we do leading up to the harvest, determines the quality of the harvest. 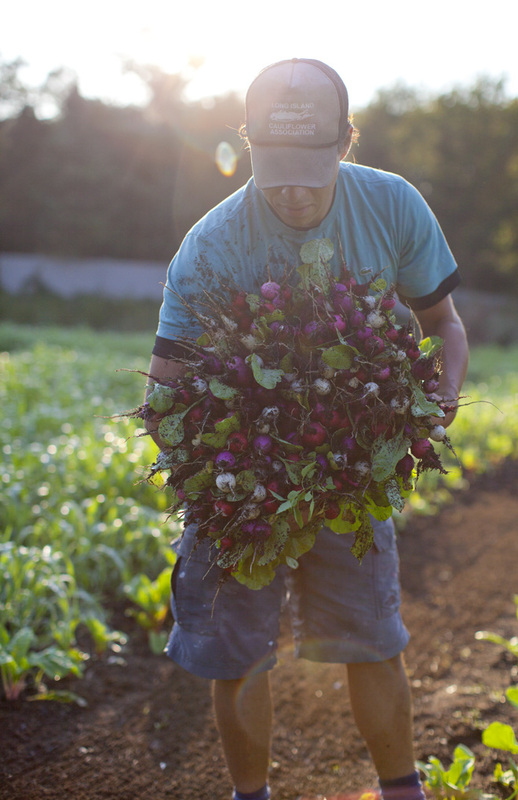 We harvest based on the season’s schedule, client and chef’s needs, and special events. All of our fruits, vegetables and home-produced chicken eggs are gathered and delivered to a clients kitchen or auxiliary fridge. We are food handling certified and use best practices of Bio-security.